I know St. Louis is a Mardi Gras town, but as someone who was raised as an Episcopalian, I will always consider today Fat Tuesday, a.k.a. Shrove Tuesday, a.k.a. Pancake Day. So: Where am I eating these pancakes? As always, leave your guess as a comment. Clues will follow if no one gets it right. Update: (Tuesday, February 16, 5:19 p.m.) For the second consecutive edition of Guess Where I'm Eating, reader Jason Lilly nailed it. 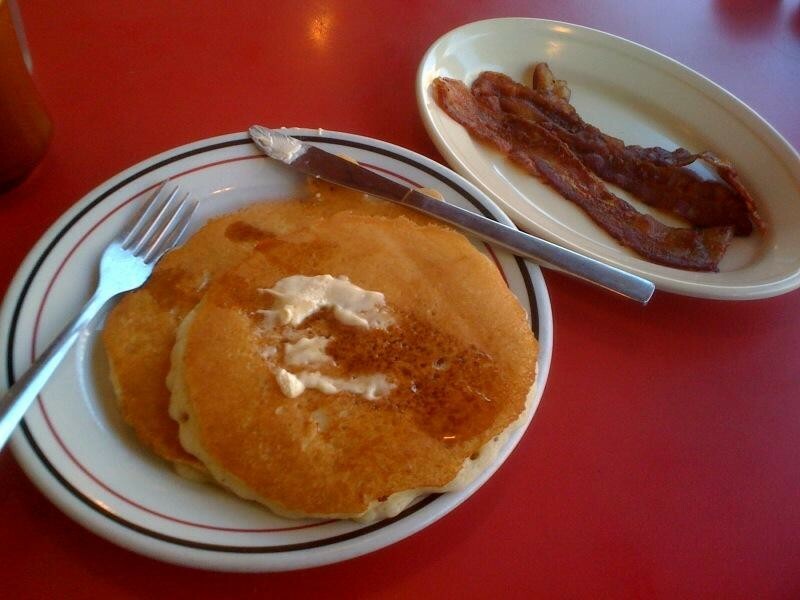 These pancakes -- hot cakes, on the menu -- are indeed from The Buttery (3659 South Grand Boulevard; 314-771-4443). Ironically, for a restaurant called the Buttery, that's a whipped spread, not real butter, atop those cakes.